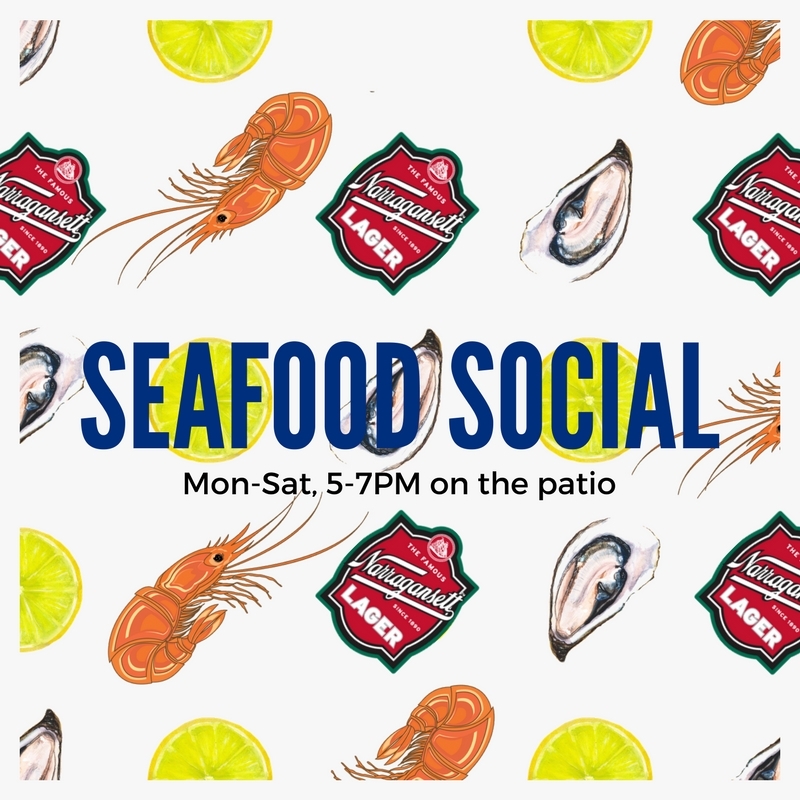 Join us nightly on the patio this fall for a daily seafood cocktail hour featuring 1/2 price NC oysters & fishermen’s favorite seafood specials with cheap cans of beer. Starting Wednesday September 20th, we’ll have NC oysters with Durham hot sauce, wild shrimp cocktail with green tomatoes & chiles, blue crab hushpuppies with remoulade, $3 cans of Narragansett, and peach leaf sangria. No reservations necessary but feel free to call ahead for large groups at 919-768-8831.